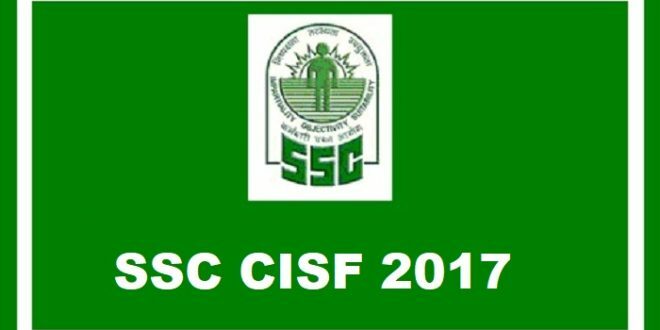 SSC CISF Examination conducted in 2017 has its medical test round for candidates. Releasing the Admit Cards for the ‘Review Medical Examination’ i.e. RME conducted by the SSC as a part of the CISF examination, the Commission has sent the same via registered post to the candidates. Medical Examination is held to conduct a fitness test for candidates aspiring for SSC CISF 2017 to get recruited into the prestigious posts offered in 2017 which are Sub-Inspector in Delhi Police/ CAPFs and Assistant Sub-Inspector in CISF examination, 2016. The Admit Cards of various candidates who have to appear for the Review Medical Examination 2017 as a recruitment process of SSC CISF examination 2016 have been released in both the modes : Online as well as Offline. The Offline mode of the release of admit card deals with the SSCs move of dispatching them onto the addresses as mentioned by the candidates in SSC CISF Exam application form. Candidates shall get the same via registered post. For those who do not receive the same, can download the provisional admit card which is going to be without signatures as a duplicate one making them eligible to appear for the Medical Test of the SSC CISF examination. The provisional admit card of those who did not receive the signed copy of the same via registered post can be downloaded from the official website of the Commission’s CISF section at www.cisf.gov.in easily available to download online from the same.